Not too long ago one of my best friends was diagnosed with ALS. His name is Kyle Connors and he is a son, a father to two beautiful girls, a loving husband and friend to so many. Please help me support his family with his fight against ALS. 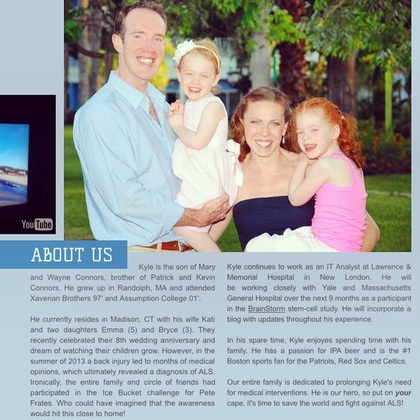 Please visit his page on my hero fund http://www.myherofund.org/ to learn more about Kyle and his family, his journey, their upcoming events and of course to donate what you can to help his family. These one size fits all, custom logo bracelets are also available for purchase for $4!